Your home’s garbage disposal is an integral part of your kitchen. It helps you clean up after every meal, and makes disposal of food waste extremely easy. When it isn’t working correctly – or at all – you certainly feel the inconvenience! Shipley Plumbing is here to get your kitchen back up and running with our expert garbage disposal plumbing services. 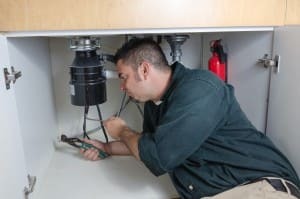 We will quickly fix the broken disposal or replace it. Many of the garbage disposal repair calls that we receive are caused by people placing foods down the disposal that they shouldn’t. Use the quick reference list below to make sure that you are using your disposal properly. We offer upfront pricing on all garbage disposal services – and we honor that price. You will never pay an additional fee, a hidden cost or an incidental charge. Call Shipley Plumbing for all of your garbage disposal needs today!